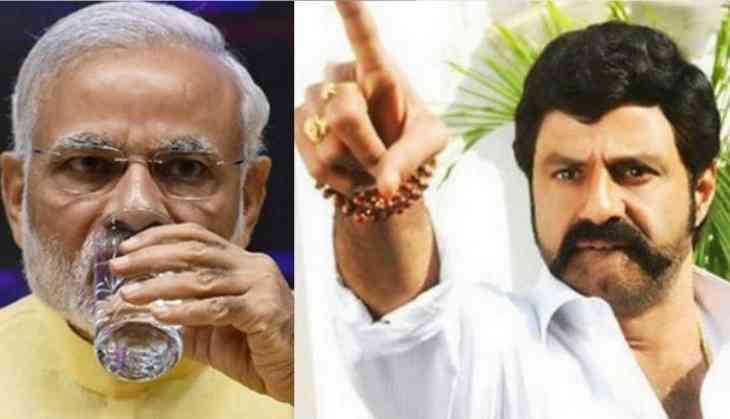 Balayya stated that Narendra Modi is playing cheap politics in Andhra Pradesh and trying to create differences between North India and South India. "This is a warning for you, Modi. You may go and hide in a bunker, but mother India will not spare you. If you go to the public, they will beat you up and make you run for your life. I guarantee that you will not get a single seat in Andhra Pradesh, or anywhere in the South", Balayya said. "BJP was expected to come to the rescue of the State, but Mr. Modi “cheated the people” by going back on his promises. First try to love and respect your family and your wife and then you will know how to love and respect common people," Balayya fumed on Modi. "Humara Andhra Pradesh aapka Gujarat nahi jispe hukumat chala sakte hai," Balayya warned Modi.